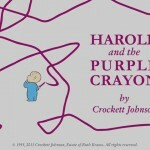 Harold and the Purple Crayon for the iPad is a magical experience based on the storybook by Crockett Johnson. Trilogy Touch managed to strike a perfect balance while updating this classic for a new generation of children– the book is filled with animation and interactive elements, yet remains perfectly faithful to the original work. This lovely app is a Best Kid favorite that belongs on the digital bookshelf of every iPad-owning parent.